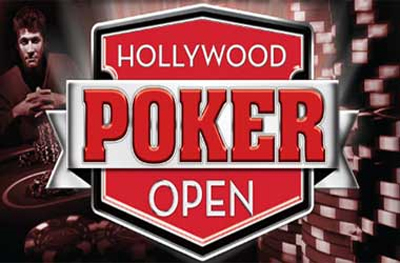 Season 3 of the Hollywood Poker Open (HPO) will curtain-fall with its season-ending $ 2,500 buy-in Championship Event. This famed poker tournament will take place at the M Resort Casino Spa in Las Vegas. Players across the country are invited to take part in the event. Those who are currently visiting the Sin City where the 2015 World Series of Poker (WSOP) is still underway can get in the race via qualifying satellite events or pay the direct buy-in of $ 2,500. Enticing, the 2,500 buy-in Championship Event will kick off this Friday June 26 at noon, boasting a guaranteed prize pool of $ 500,000. Speaking of its structure, it will run 11 levels of one hour play. Every participant will enter the game with a starting stack of 20,000 chips. Admittedly, the HPO Championship Event is one of those not-to-be-missed poker events this summer. This time, a record-breaking field is dearly expected. Recall that the HPOs Season I recorded a field size of 631 entrants. The following edition, for its part, experienced a modest increase in attendance rate. Actually, Season II boasted itself with a massive field of 692 players. The icing on the cake: the Season IIIs televised show will feature 2013 WSOP Main Event champion and HPO ambassador Chris Moneymaker. The one who will succeed to last years champion Simon Deadman will be known this Sunday. Pending this, the season-ending HPO schedule includes among others, interesting events such as the $ 235 buy-in No-Limit Hold'em, the $ 555 HPO Seniors Championship, and the $ 235 No-Limit Hold'em Deepstack.